As per IIBA guidelines to get 21 PD's, Individual has to enroll for Live Classroom (VIP Pass). 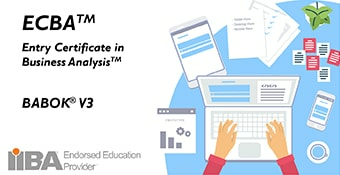 Certification of Competency in Business Analysis (CCBA®) training course covers the basic skillsets essential for business analyst professionals based on the industry standards and yardsticks of the International Institute of Business Analysis (IIBA®). CCBA® certified professional will become expert in distinguishing the needs of a business so that the most appropriate solutions can be acknowledged and implemented to produce consistent results with increased competence and steadiness. 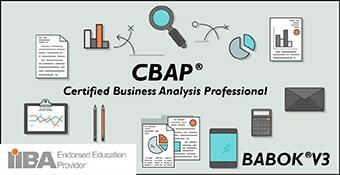 CCBA® certification from ApnaCourse.com is intended for business analysts and practitioners who wish to be recognized as connoisseurs skilled at steering Business Analyst activities. Business analysts follow a specialized approach towards understanding the procedures, policies and structure of an organization by employing conventional set of methods in order to recommend the best possible solutions that drive the organization to achieve its goals. Guiding business analysis activities include grasping the business processes to govern how they function to attain their purpose, and realizing which capabilities the organization requires to successfully provide its services to the peripheral participant. This incorporates the elucidation of organizational goals, how the goals are associated to objective, finding out the best way forward to act in order to fulfil these objectives, and also defining the interactions between different business units with its internal as well as external participants. Build your career potential with CCBA® course brought to you by ApnaCourse.com that will provide you industry’s wide recognition as a highly professional and seasoned Business Analysis Professional. CCBA® training program by ApnaCourse is intended to ensure that you pass the CCBA® exam on your first attempt. CCBA® is an internationally recognized credential offered by IIBA to professionals who pass the CCBA® exam. Based on the BABOK® Guide Version 3, the CCBA® certification course is a formal recognition of a business analysis practitioner’s knowledge. A certification in CCBA will evaluate to your expertise and knowledge in the practices and ethics of business analysis. Acquire cutting-edge knowledge of classifying, defining, assessing and finishing various elements of business analysis tasks. Be able to achieve 30 business analysis tasks in 6 knowledge areas. To become a certified CCBA® professional, you will have to undergo formal CCBA® training from an endorsed education provider like ApnaCourse and successfully pass the CCBA® Exam. Well developed and is a great tool to supplement with the BABOK. Very good course with many evaluation quizzes and mock exams. A very good value - far less expensive than other courses. Detailed one. 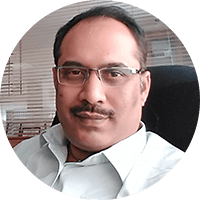 Must for anyone who aspire to become a BA as this elaborates the responsibilities, various processes and everything that a BA or anyone who plays role of a BA needs to be aware. Good pointers in a consolidated and precise format. I got what I needed, thanks a lot!